Helloooooooooo! I hope that you are bright-eyed and bushy-tailed today. Gotta love that Ozarkian lingo. 😉 I’m just gonna share with you a couple of things that I found on sale (half price) the other day. I love it when they run the fall decor on sale. 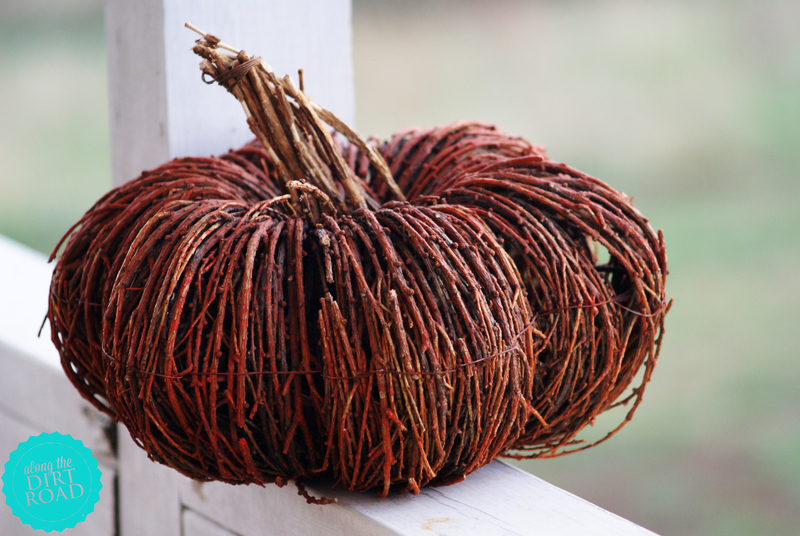 Usually, you still have time to put it out and then next year when you dig out your autumnal decor…YAY…you have something “new” in your stash. I picked up these pieces at a wonderful little store called the At Home Market. It’s one of those places that are just my style. Not too fru-fru but not too….blah. 😉 You know what I mean, right? I thought so. I reallllllllllllllllllly love it when their things are half price. That is da bomb diggity fo sho! (I don’t know….I have no excuse for that lingo.) Anyway friends…I hope that you enjoy looking at my new, little, sa-weet, half price bargains! 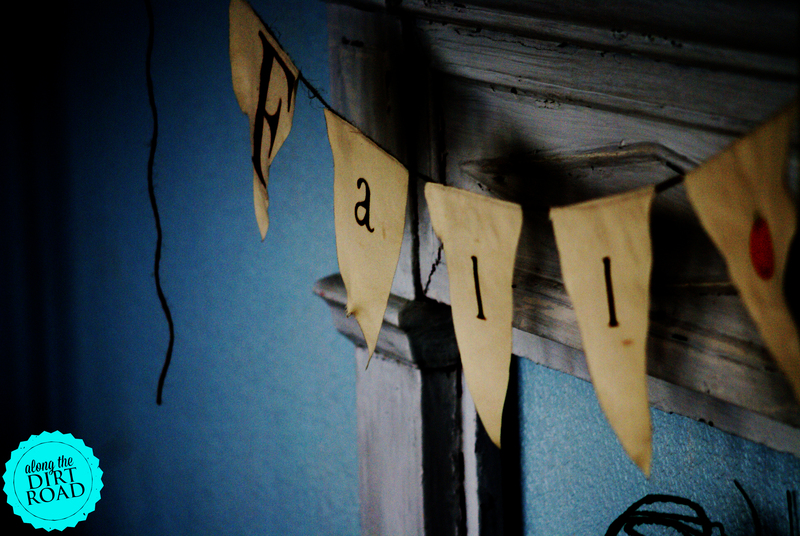 Oh yeah…and there is a shot of my fall banner…just cause I love it. 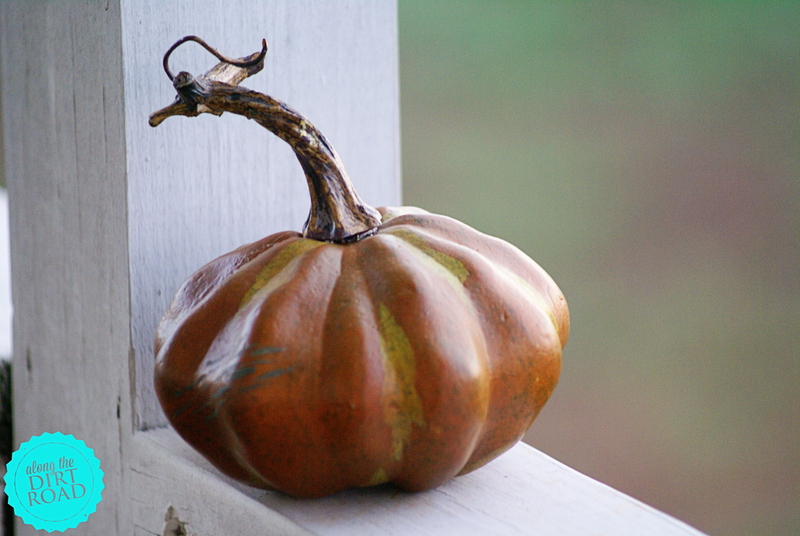 I have wanted one of these twiggy pumpkins for a while. Half price? Even better. This little guy had my heart from the moment I saw him. I plan to make one that says “Merry Christmas” too. 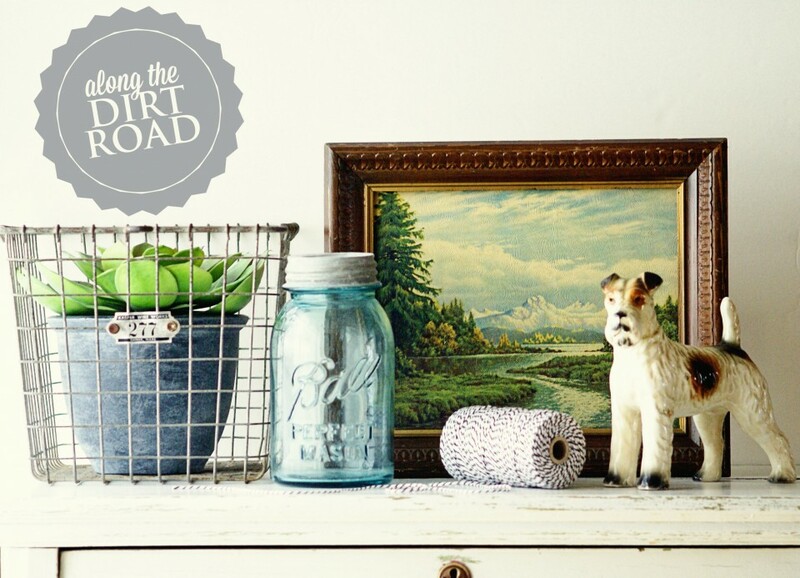 Happy Tuesday, Dirt Roaders. Now….go forth to the half price sales!